Blogging is a tough journey initially, but as you get experience, you will get each and every idea and tricks behind the way of success. But you should be very careful in selecting the correct way of success- one small mistake can cause you nothing but your valuable time. Here I am going to provide you the important tips on effective use of Facebook for your blogging success. 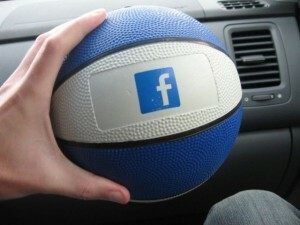 Facebook is a number one social network as all of us know. You are using to interact with your known friends as well as some unknown personalities. You can even make new friends on Facebook. I am here talking about the effective use of your profile to succeed your blogging career, which means not to post only your blog post links every time. It’s about interacting with your niche bloggers, asking the experts about some of your toughest moments and problems. Once after you get experience, it’s about solving other’s problems in groups, pages and messaging. It will build a good reputation among your friends. Remember- do not mix up your personal friends with blogging friends. You can use the new “public posting” feature, which will be available to your subscriber (not friends) like in Twitter. You can have only 5000 friends in your profile, but there is no limit in Facebook Page. Create a page for your blog and have at least 25 followers to get a fancy URL such as facebook.com/your blog page and the next step is to place the “Like Box” in your blog sidebar. You should syndicate your RSS feed to the Page, which will bring all of your published posts to the page. Your duty not ends here- you should post some of interactive questions try to get likes and replies to your questions, which makes a good impression among your followers. As I said before, you should regularly participate in the Groups related to your niche and blogging to interact with fellow bloggers and try to answer the queries posted by other members. You should not worry about the answer, if you have will to help, then try to search the answers, solutions via Google Search and try to solve their queries to improve the reputation. This will help you to get the real subscribers to your blog, which is the real money for you. I hope these 3 points will help you to achieve what you dreamed for. Follow these simple and effective steps and make money online.